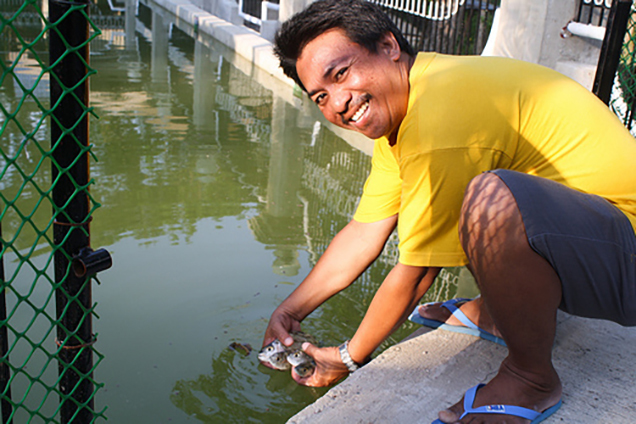 Photo: Our Philippines Director is happy to show us the “mother fish” that will multiply into an abundant harvest in 6 months’ time. We’re very excited to announce that our new small-scale fishery project has now been completed on the island of Cebu in the Philippines. The new concrete-lined pond holds a volume of approximately 20,000 gallons (75,000 liters) of fresh water pumped from our on-campus well. The fishery is located on our existing campus on Cebu. Also on the same property is our hen house which produces over 20 dozen eggs daily, and a banana grove that yields over 6,000 bananas annually. Having the fishery in addition to the hen house and banana grove will also add the benefit of diversification to our existing small business enterprise in the Philippines. The initial investment to build the pond was around $5,000. To stock and supply the pond until harvest costs us around $1,800. After six months, the harvest is estimated to yield a profit of $4,000 as fish are in high demand in the market. Thus we project a net profit of $2,200 every six months, or about $360 monthly. These are significant profits in light of the local impoverished economy. The supply of fresh fish will also vastly supplement the nutrition of our students and children in our outreach program. Some advantages of the model are that the fish require less feed than the hens and no medicines, and the project is environmentally friendly and low-maintenance. 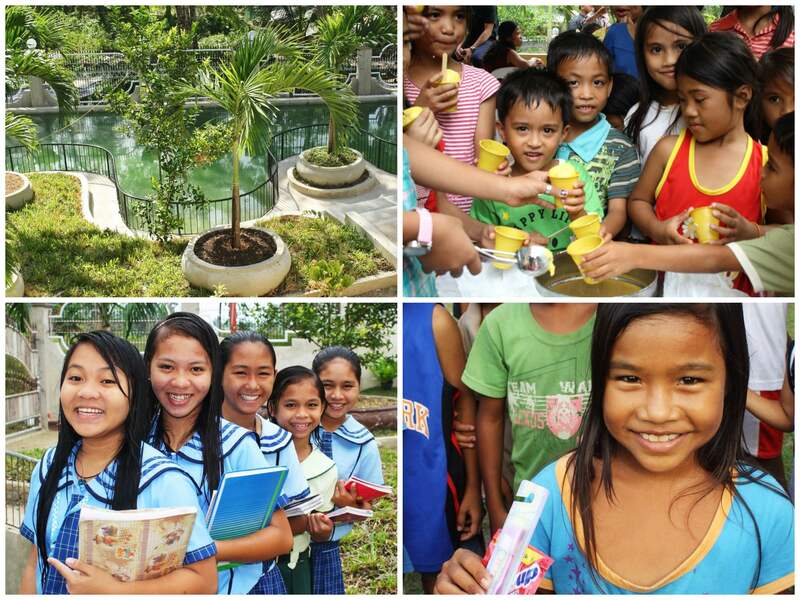 With our new water well supplying all of our fresh water needs for the pond, we’re hopeful the project will be a big success in supplementing our program budget needs in the Philippines.